Prosiecke and Kvacianska Valley is one of the longest walk we have done in a day in Europe, it is a 17 kilometers through the forest hidden in the Choch Mountains. Not only is the path long but enjoyable. 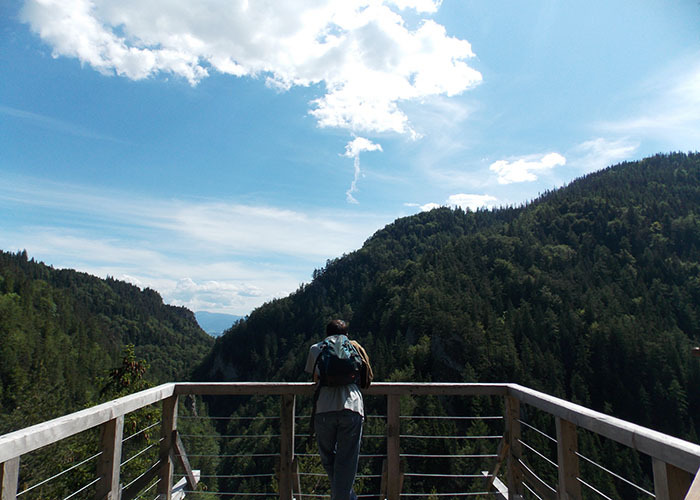 Wooden walkways along the river which stream down among the gorges, chains and cables on the walls where to hold and delve into the canyon, a waterfall to cool down and then continue you way climbing metal ladders to reach a meadow where to sit and look around. 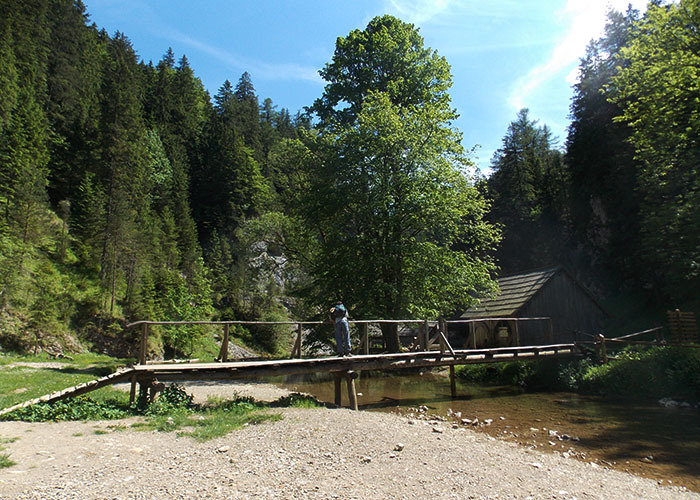 In the second half of the hike there are several viewpoints and an old restored water mill in a beautiful surrounding that invite you to chill and, why not, to take a short nap. Proper tranquility and the mill can be visited. 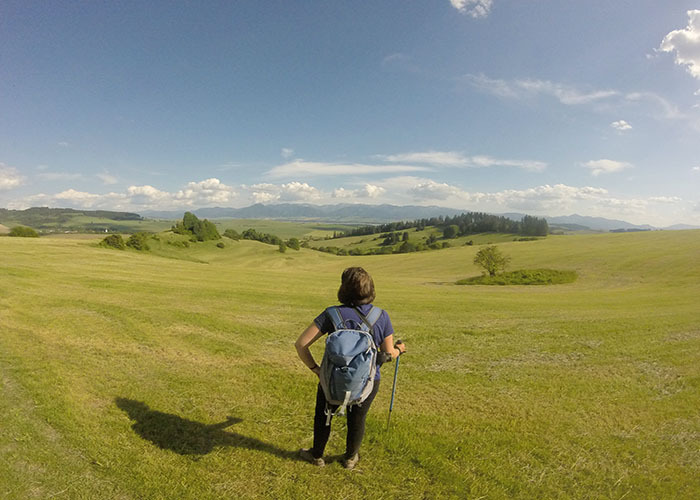 As it is a circular route you can start the walk from several points; Prosiek,Velké Borevé or Kvakani. We began the long walk from Prosiek, for no particular reason as we all we knew we had 17 kilometers and almost 7 hours ahead of us. What to bring: lots of water and good shoes … lets walk! 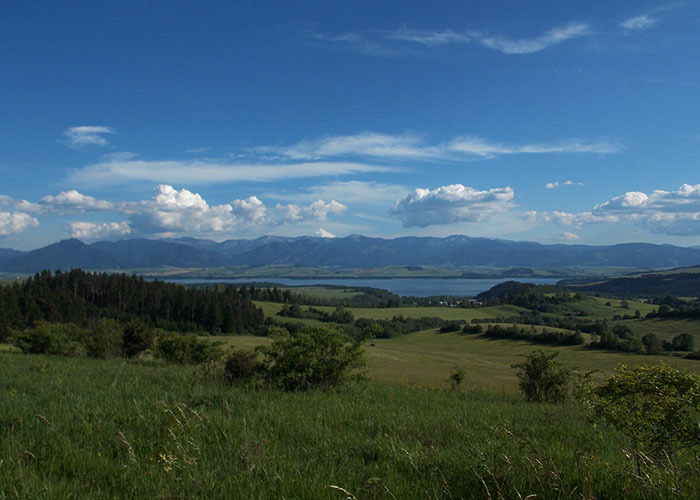 Have you been overlanding Slovakia? How was your experience?